A BIG THANK YOU to our valued clients and friends who have supported our law firm. The diverse business and corporate needs of our clients have given us the opportunity to successfully complete many different cases and transactions over the last 40 years. Our representation for some clients has carried on for several decades. These ongoing relationships have helped us to better understand our clients’ businesses so that we can more effectively assist them. We have worked with and against many different attorneys and law firms (both domestic and international) and appeared before many different judges, arbitrators and mediators. We appreciate that this has all happened because of our many valued clients who have entrusted their business legal affairs with us. A major independent attorney rating service, Super Lawyers®, has evaluated attorneys by research and surveys and by soliciting reviews from peers and members of the judiciary, and has completed its list of Super Lawyers for 2017. 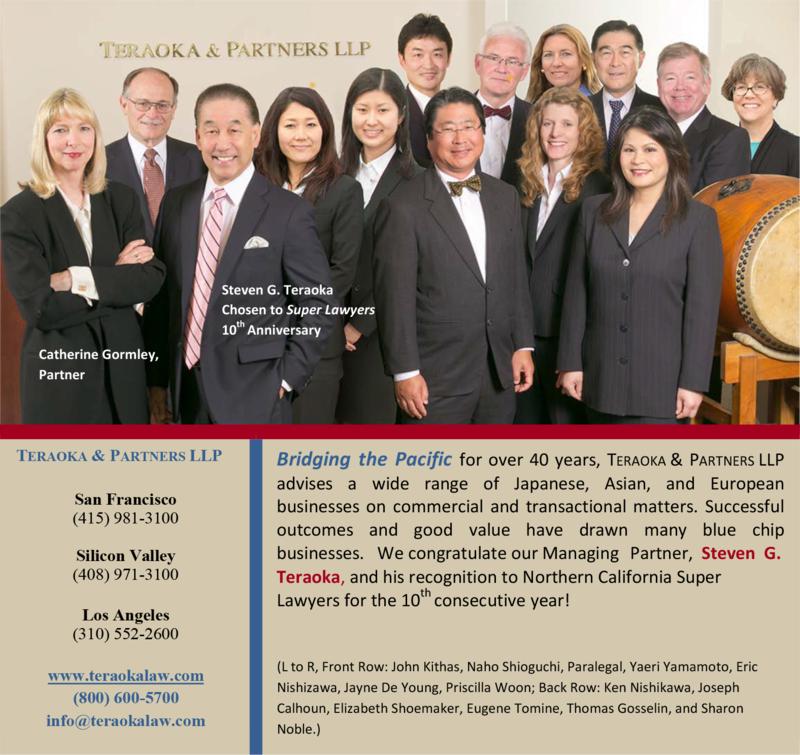 We are pleased to announce that our Managing Partner, Steven Teraoka, has now for 10 consecutive years been named to the list of Super Lawyers for Northern California for 2017. 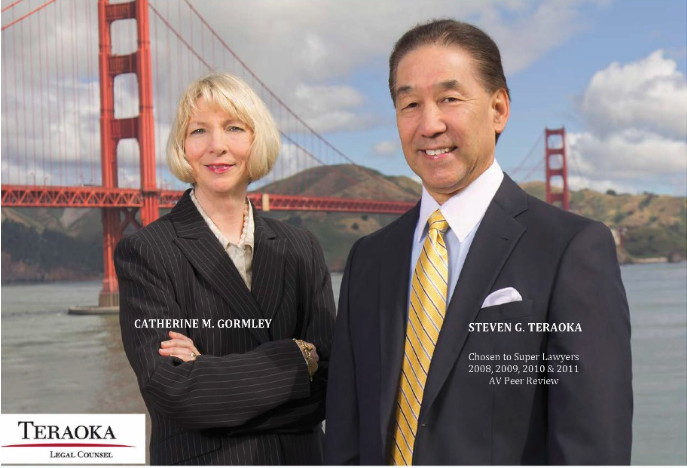 This recognition is published in the August edition of Super Lawyers Magazine as well as the August issue of San Francisco Magazine. Should you pick up the August edition of San Francisco Magazine, you will find the attached article at page S-23. Steve says that this continuing recognition is a reflection of a team effort of dedicated and super-talented attorneys who are dedicated to our firm and our esteemed clients. Again, to our clients, we say thank you for the opportunity to serve you. We could not have become the firm that we are without your ongoing support. We will continue to strive towards standards of excellence and provide timely and extraordinary services to you.